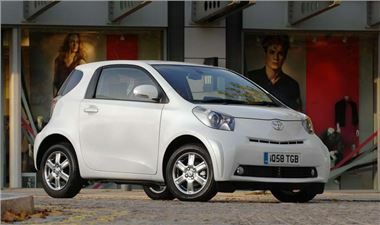 Toyota GB has announced it will recall a number of its iQ models in the UK to carry out a modification to the software used to manage the vehicle's Electric Power Steering (EPS) system. The issue affects certain iQ vehicles, produced between 11 September 2008 and 22 October 2010. When driving on certain roadside safety side strips or 'rumble strips', signals received by the EPS sensors may be incorrectly interpreted by the EPS control unit, triggering the EPS warning light. Should this happen, the driver would need to apply extra effort to steer the vehicle. It is working with the Vehicle and Operator Services Agency (VOSA) to contact registered owners and keepers by letter to advise them of the procedure for taking their vehicle to an authorised Toyota repairer for the necessary repair work to be done. This issue has only been observed in very specific circumstances in Japan. No cases have been reported in Europe. No accidents related to this issue have been reported. The repair involves the update or replacement of the EPS control unit software. The job will take approximately two hours to complete, at no cost to the customer. Approximately 12,000 UK registered vehicles are affected by this recall. Toyota will ensure that vehicles produced before 22 October 2010, but not yet delivered to customers, will be checked and the necessary repair undertaken before delivery.